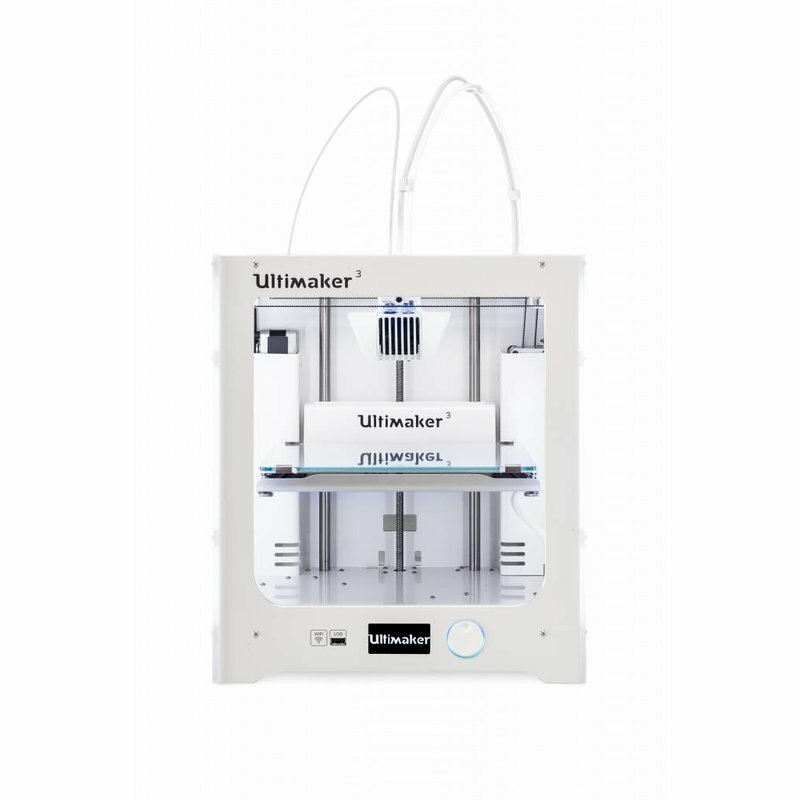 Ultimaker UM3 Advanced 3D Printing kit voor de Ultimaker 3. Zorgt voor constante kwaliteit door een verbeterde hechting op het printbed en een gelijkmatige temperatuur in de de printer. Advanced 3D Printing Kit for the Ultimaker 3 is designed to ensure even a smoother, more reliable 3D experience, especially when printing with engineering materials. The items provided in the kit help minimize printer downtime and significantly increase print success rates. The front enclosure is very effective when using materials that are prone to warping or delaminating. 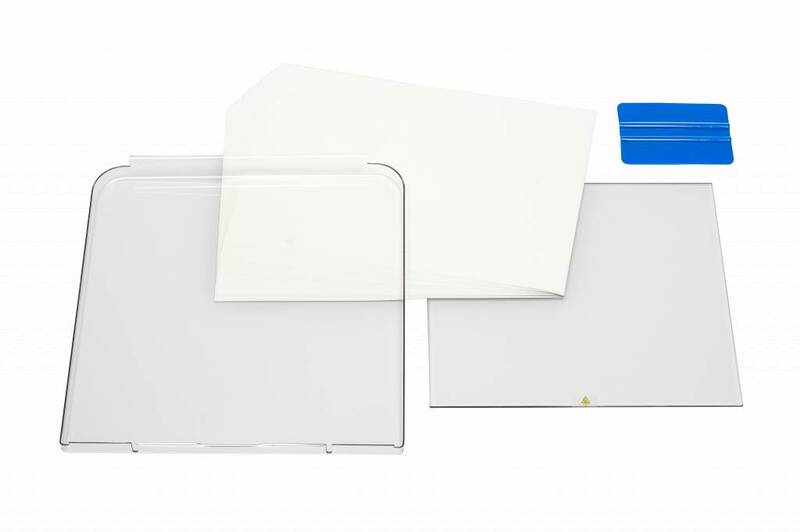 It stops heat from escaping, creating a constant temperature of 45Ã‚ÂºC, while also protecting the print from external influences. The stable environment ensures that the printed material cools down more slowly and that the temperature is more evenly distributed throughout the print. This helps lower shrinkage and decreases the risk of warping and delamination. You can find detailed instructions on how to install the front enclosureÃ‚Â here. 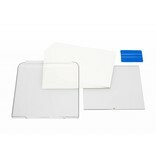 The adhesion sheets improve build plate adhesion and can be used with most materials. They make a great alternative to a glue stick and are designed for multiple use. 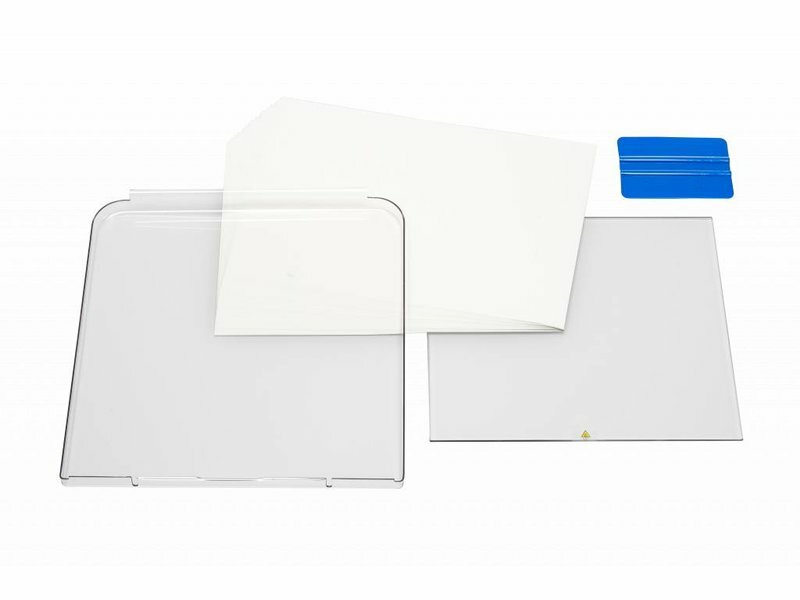 To create a flat printing surface, it's important to ensure the sheet is applied correctly to prevent air bubbles. You can find instructions on how to apply the sheetÃ‚Â here. Take a look at theÃ‚Â Ultimaker 3 manualÃ‚Â for instructions on how to install the glass plate.